A New Year is upon us and traditionally we see it as an opportunity to turn over a new leaf, create new habits and start fresh. It’s one of the reasons we are drawn to creating goals, resolutions and intentions this time of year – because everyone else is doing it. I’ve witness how the collective energy of all these goals and intentions out there in the world can help us along the path of creating change in our lives. If you are called to create a list of wishes or goals, choose a touchstone or word for the year, and ritually say goodbye to ways of living that aren’t congruent to who you desire to be in this world, then I am right here beside you cheering you on and praying that your deepest desires come into your reality. As a coach, of course I write about the New Year because it’s one of the topics people want to read about. 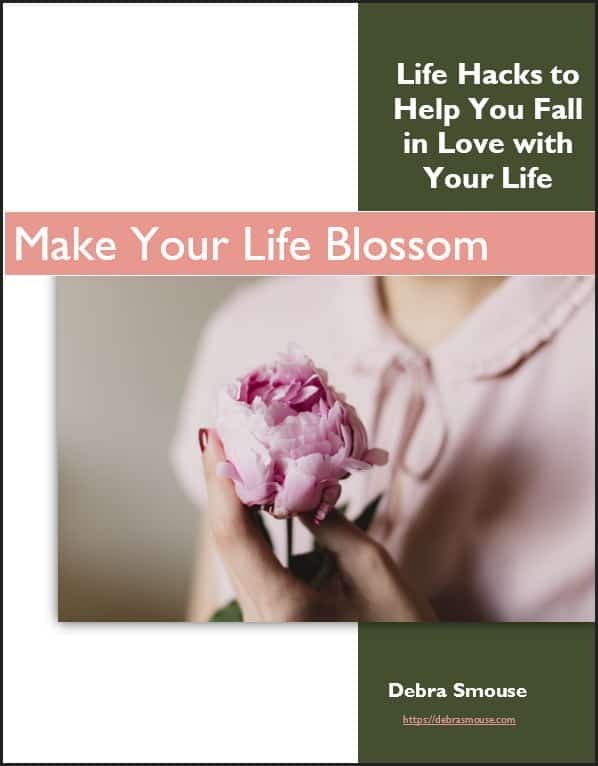 I create books that help you get clear about what you really desire for the coming year (like my free eBook Create a Year You Love: Choosing Your 2015 Touchstones) because people are seeking ways to help them get clear around what they really want and how to create some focus. I offer courses to help with common New Year’s Resolutions, like clearing clutter. 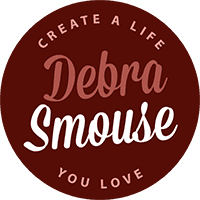 I regularly create free content (this blog, my newsletter, guest posts) and inexpensive courses so that I can use the gifts I possess and be of assistance to other souls. I write and create during this sweet spot between November and January because people are seeking it. But let me say this: don’t let the pressure of the New Year and the fact that “everyone” is making resolutions and goals pressure you into jumping on the bandwagon. You see, from experience I know that you can choose any day to start fresh. Maybe on January 1st, you aren’t quite ready to figure out what you desire in the coming years of your life. One of the most transformational years of my life was in 2010 and it wasn’t until late March that I finally got clear and chose a Word (Faith) for my year. Here is what I know to be of importance. Shed the clutter that’s in the way. Sometimes, it’s literally physical clutter in your home. But it’s also mental clutter and emotional clutter. Get clear about what you really want. Usually it begins with a feeling – how do you desire to feel? What actions would help you get that feeling? Ponder what you desire to experience. Listen to your soul’s need about the mix of comfort and adventure you need. Remember that sometimes you have to decide what you don’t want before you can get really clear on what you do. Don’t be a slave to the calendar. Just because January 1st begins a new calendar year doesn’t mean that you have to begin to change your life in dozens of ways. Yet, don’t let fear rule you. Don’t procrastinate when it comes to seizing your life by the horns. If you’re not quite sure what you want in 2015, give yourself the time and space to decide. But when you get those little whispers of the heart, listen! Learn yourself. One of the reasons I created Become Besotted was to help people get clear on who they really are. Stop choosing goals based on what the outside world demands. You’ll never be satisfied with creating – or reaching – goals based on what you think will make others happy. For example….It isn’t about losing weight so that you look like a model, but taking exquisite care of the one body you’ve been given in this life. Choose one or two big goals to work towards. Anything beyond 4 goals scatters your focus and will leave you feeling frustrated, confused, and stalled. When you get clear on a couple of big desires, be willing to break down those desires into very tiny actions. Miniscule progress towards your dreams brings them into your reality. Make sure your goals are truly congruent with how you desire to live your life. Do the work. Be willing to get vulnerable, work hard, and get uncomfortable. Don’t expect to simply manifest your desires. Get your hands dirty. Get some damned help and accountability. Whether you hire a coach, join a mastermind, or set up a buddy system with your best friend, remember that you do not have to go it alone. Don’t forget that while you are working towards your big dreams, that the bulk of your time is spent in the day to day living. Find ways to love your daily life. And make space in your daily life to work towards your desires. Take better care of yourself. Put quality foods into your body. Drink lots of water. Move your body. Get adequate sleep. New Years is indeed a time ripe with opportunity. Seize it but don’t believe that passing January 2nd without clarity means you need to wait for 2016 to create change in your life. I have so much deep faith that you can bring your dreams into reality. I have witnessed it time and again within my own life and the lives of clients and friends. Just know that even if you aren’t ready right in this moment to set those big dreams and goals, you haven’t missed your time. In fact, you can choose today as the first day of your life of difference. From the bottom of my heart, I am wishing you a bountiful and beautiful 2015. Know that no matter what you desire – or when you desire it – I’ll be here cheering you on.